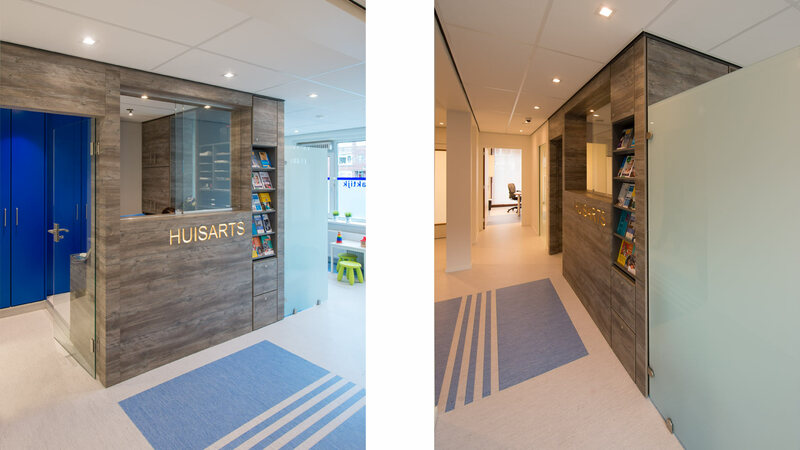 On the Pleinweg in Rotterdam is a large general physicians’ practice located on the ground floor of four adjacent, interconnected buildings.In one of those four properties the interior has been significantly reconfigured to provide better logistics, to offer a better overview of the entire practice for the counter staff and to improve the facilities for physicians, patients and staff. 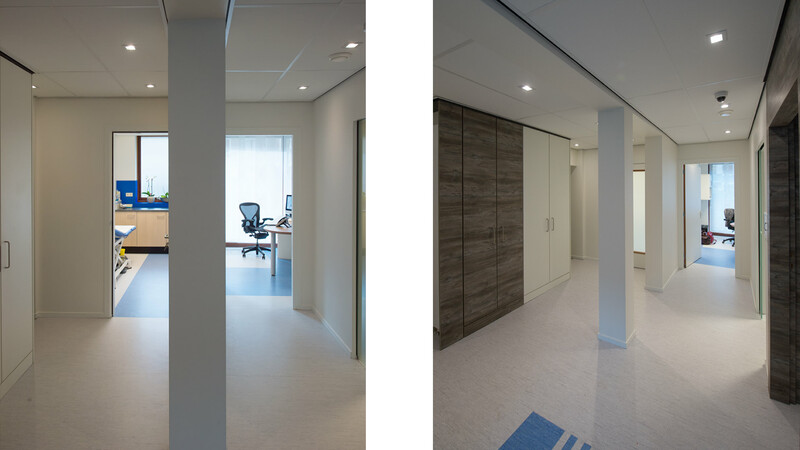 Accessibility for patients and other visitors has been substantially improved by improving the entrance, replacing the counter and repositioning the consulting-rooms, and also by applying new colors and new materials throughout. 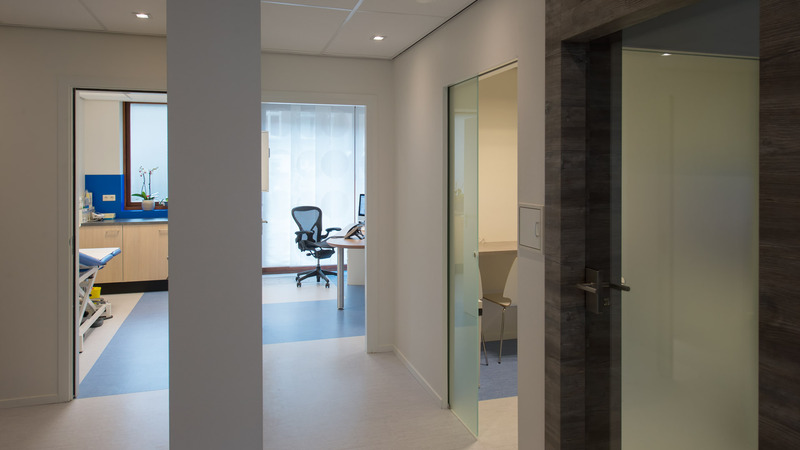 The counter is completely redesigned and has been relocated so that it affords the counter-staff an unimpeded view of the practice and of central corridor that connects the four properties. 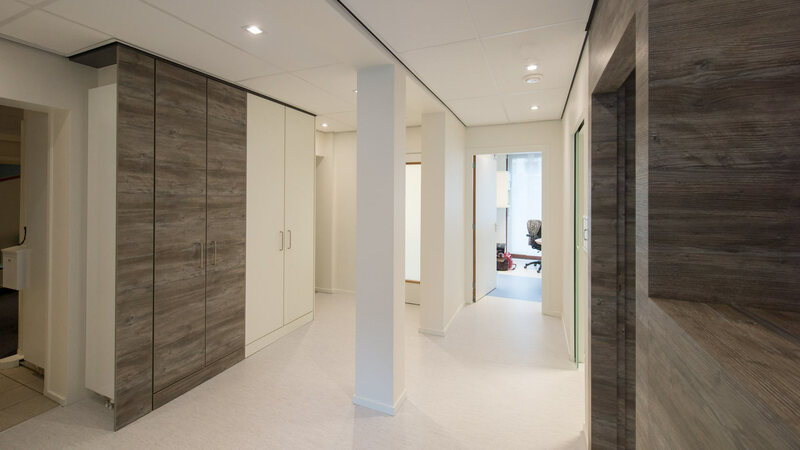 Furthermore, it improves the working conditions of the assistants, has a more logical layout, increases storage space, offers an overview of the space and is more open to patients and visitors. The new counter is located in the center of the space, giving it a more central and prominent character while the use of glass provides sufficient daylight. The injection room is accessible from the counter which therefore provides an important logistical link to the total space. 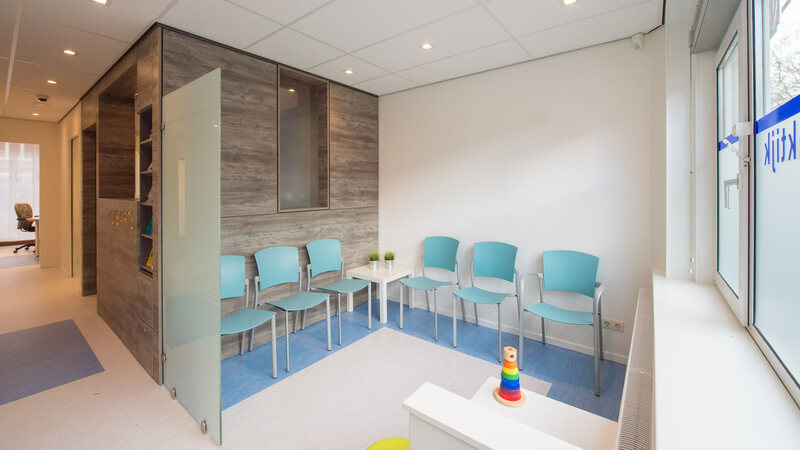 The consulting- and treatment-rooms are reconstructed and redecorated with new furniture. 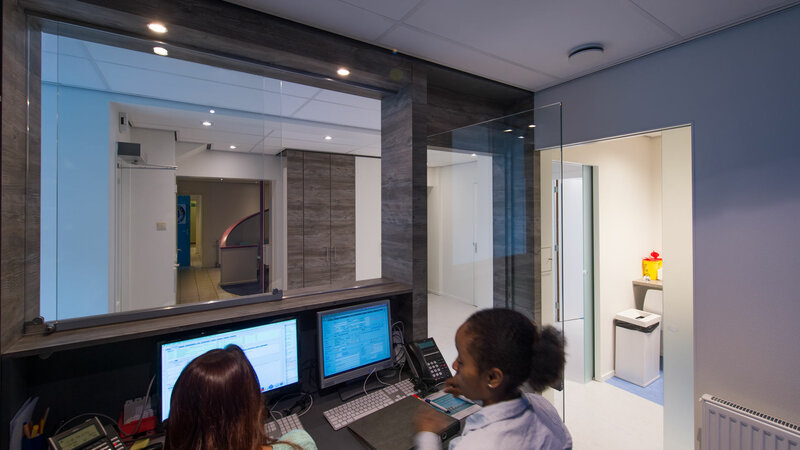 The two spaces are connected by an open passage which provides the physicians with better access to the consultation- and treatment-rooms as well as an emergency exit. New lighting is installed in the ceiling allowing the spaces now to have a more balanced light output and there are no more dark areas. Throughout the practice other colors are used. The blue color of the logo is reflected in the furniture. The desk and floor are gray and light gray. The color combination adds a fresh, new atmosphere to the practice. 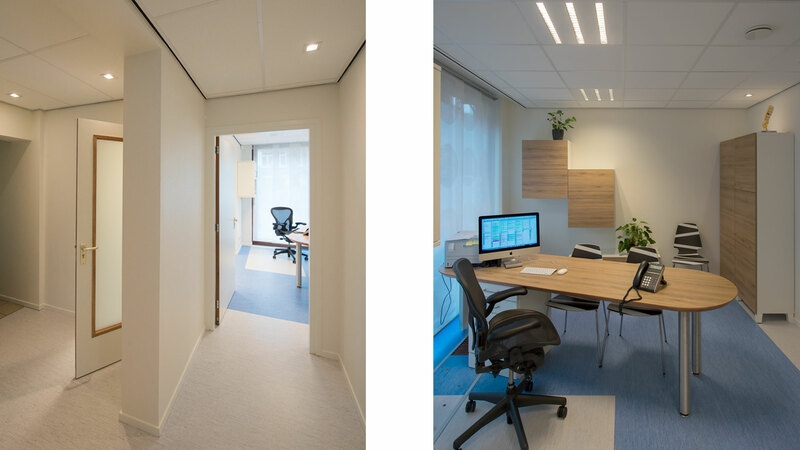 Together with the new ceiling and lighting plan, the space gives one a pleasant impression upon entering because it is light and uncluttered. The infrastructure, equipment, Internet, telephone, light and heating are completely renewed. 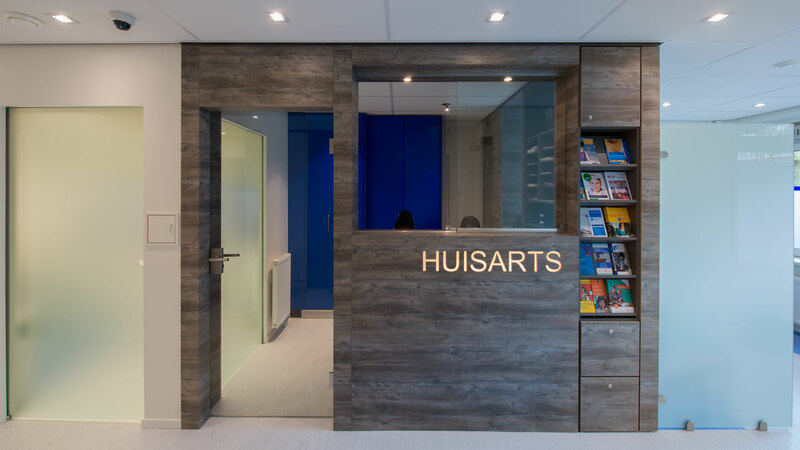 These new conveniences have readied the renovated part of the practice for the future. 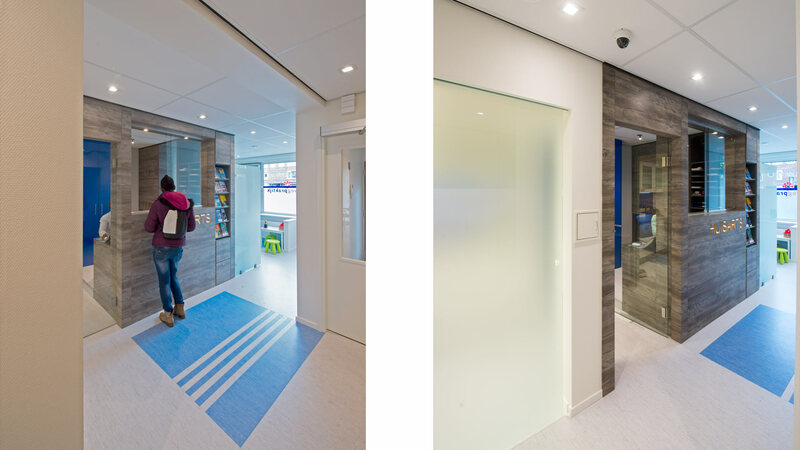 Emergency exit capabilities have been optimized, and the accessibility for wheelchair users has been improved throughout the whole practice.